Alec Baldwin performs 'Hallelujah' as Donald Trump - GENRE IS DEAD! If you’ve seen Saturday Night Live last night you might have gotten a little jump-scare. We sure did! For a second we thought Donald Trump himself made an appearance singing Hallelujah, made famous by Leonard Cohen. The opening act started with Alec Baldwin doing his amazingly well Donald Trump impersonation, passionately singing the song. He was later joined on stage by the show’s cast as his family, and no one other than Scarlett Johansson playing Ivanka Trump. Death made a surprising appearance too! 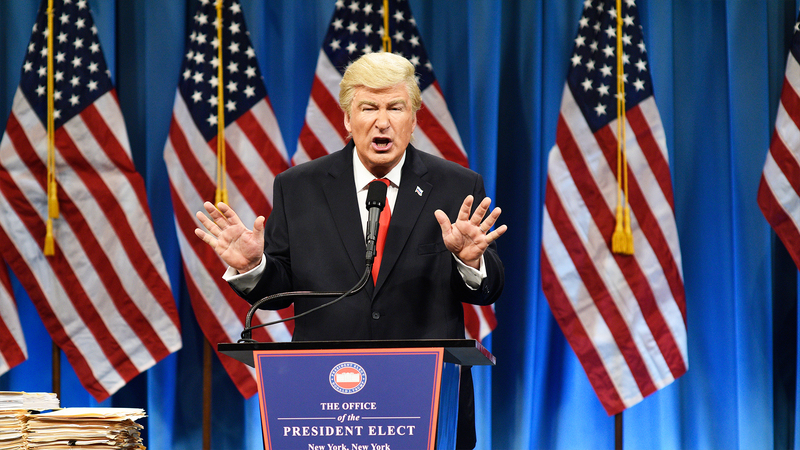 Baldwin was asked how long he will continue impersonating the American president, to which he replied he wouldn’t do it much longer. We will have to enjoy it while we can! And so do you! You can watch the performance below!